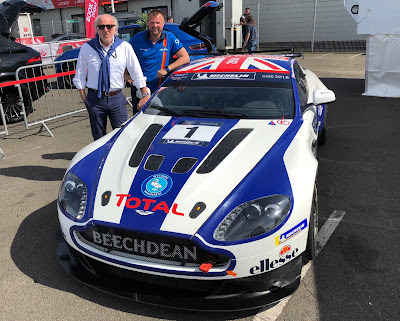 Sitting proudly on display within the Beechdean AMR paddock area at last weekend's British GT Championship at Silverstone was the car that Andrew Howard and David Richards will use in this week's Aston Martin Racing Festival at Le Mans. 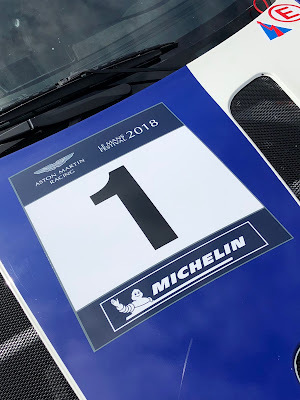 Competing in the highly competitive GT4 field that will sport something around 24-25 cars, the #001 V8 Vantage GT4 will have its first run out of the year with both the team boss and the boss of Prodrive. 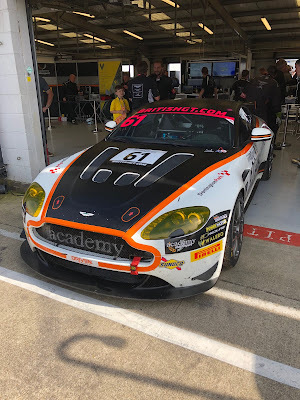 Not having run at Silverstone in the British GT race the #1 car of course will arrive at the Circuit de La Sarthe in a pristine condition and ready to race which is not exactly how some of the cars that were raced yesterday will!! 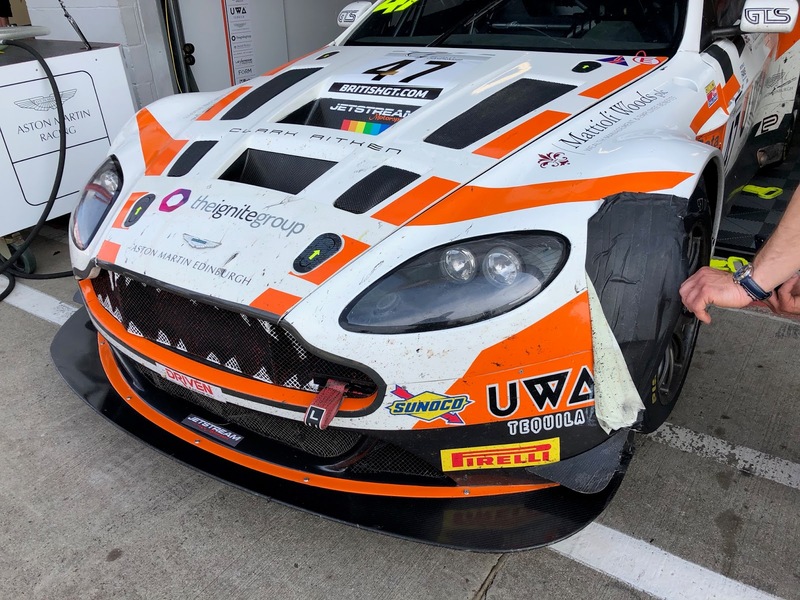 The V12 Vantages of TF Sport, Ultimate Speed and Jetstream Motorsport along with the GT4's of Academy Motorsport and Generation AMR SuperRacing will all need a good service after yesterdays 3 hour race but sadly a few of these sustained damage during the course of events. The worst is the car used as the #61 in British GT that suffered a suspected engine failure in the final minutes of yesterdays race whilst the Jetstream car suffered (hopefully) just cosmetic damage after contact with the #11 TF Sport car. 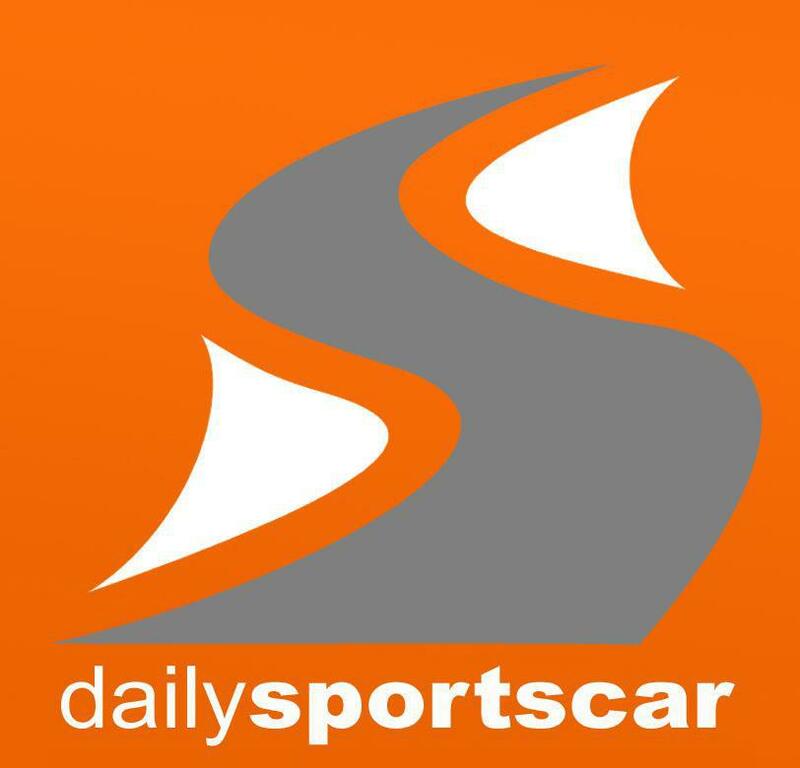 We also understand that a deal has finally been brokered with Academy for them to run their fourth car at the Festival with another British GT runner, partnering Matt Nichol-Jones in the car - an entry that is over and above those officially released. 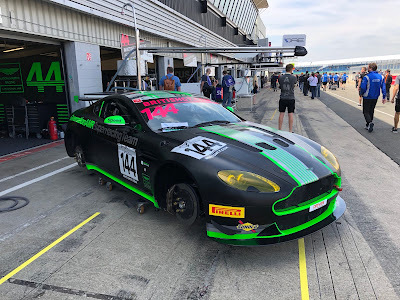 From those we spoke with at Silverstone, it was very much the case of a quick get away with a quick stop-over at base (if their logistics allowed) before passage over to France today to set up and be ready for track events which start of Wednesday.